In this video, photographer Vanessa Joy demonstrates her techniques for editing bright and colorful photos. It was an early morning in Crested Butte, Colorado and the sky was dark, heavily overcast and quite uninspiring. 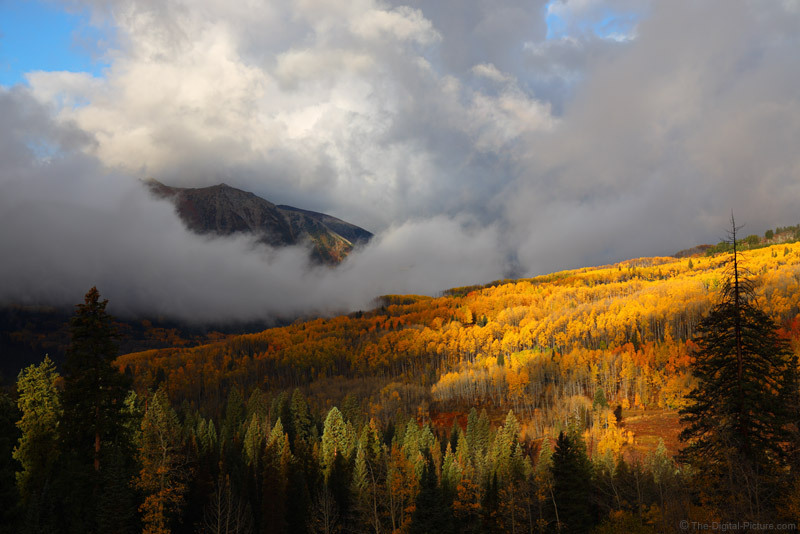 Then the clouds rolled away and suddenly there was bright light bringing life to the fall-colored aspens. I was primarily shooting with the Canon EOS R and RF 24-105mm f/4L IS USM Lens this morning. As there was adequate light, shooting this combination handheld permitted rapid and significant location and composition changes as dictated by the rapidly changing light. 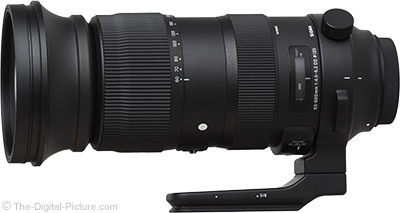 B&H has the new Sigma 60-600mm f/4.5-6.3 DG OS HSM Sports Lens for Canon EF in stock. We have this lens in the lab – test results coming soon. Apr 19, 2019 – Kenko Tokina Co., Ltd. is pleased to announce the worldwide sales date for the new Tokina FíRIN 100mm F2.8 FE MACRO (SONY E-mount) for digital mirrorless cameras. Sales will commence on April 26th, 2019. Tokina FíRIN 100mm F2.8 FE MACRO is the second lens in FíRIN series designed to help shooting artistic photos of people, landscape or things at a very close distance, allowing to see the details that human eyes would hardly see. It is a moderate tele macro lens with incorporated optics designed for Sony full frame E-mount mirrorless cameras. The lens is capable of life-sized (1:1) reproduction at 30cm. Due to its macro specifications the lens has extremely high resolution, low distortion and low falloff. Fast aperture f/2.8 provides excellent performance in low light conditions. Beautiful soft bokeh makes this lens an extremely attractive tool for macro, portraits, landscapes, art reproduction, commercial and general purpose shooting. 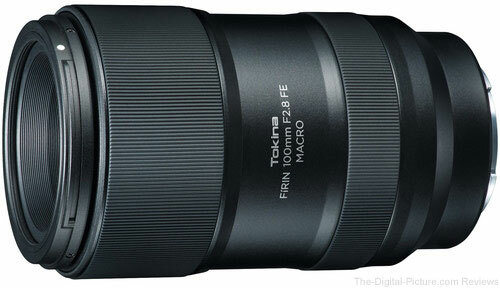 B&H will have the Tokina FíRIN 100mm F2.8 FE MACRO for Sony E available for preorder. Wedding photographer JB Salle gives tips on off-camera lighting and how to use strobes effectively. He discusses lighting techniques that mimic the sun when there isn’t enough natural light, as well as how to use a reflector to separate the subject from the backdrop. There are a lot of useful nuggets of information in this video, so check it out! 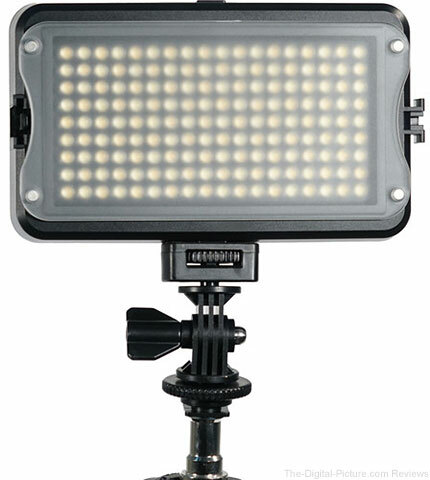 Through this weekend, B&H has the GVB Gear 162 Bicolor On-Camera LED Light with LCD Display and Shoe Mount Adapter available for $39.95 with free shipping. Regularly $59.95. 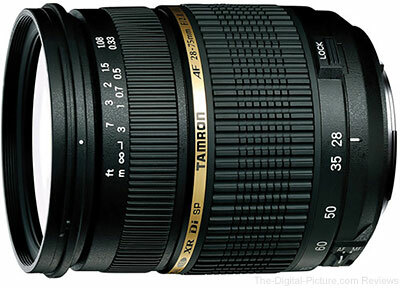 Through this weekend, B&H has the Tamron SP 28-75mm F/2.8 XR Di Lens available for $369.00 with free shipping. Regularly $499.00. 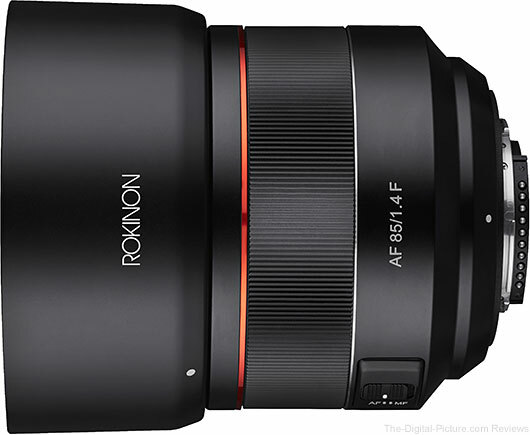 (New York, New York) April 17, 2019 – Rokinon has announced the new AF 85mm F1.4 Full Frame Lens for for Nikon F mount which is the 10th lens of its autofocus series of lenses for Sony, Canon and Nikon cameras. This ideal portrait-length prime is designed for optimal quality imaging with the most advanced Nikon Full Frame image sensor cameras. It also performs with Nikon APS-C sensor cameras as a high speed 127.5mm equivalent AF telephoto lens. A variety of advanced lens technologies, including a Hybrid Aspherical element, allow for a more compact (< 3 inches long) and lightweight (17oz) design that also minimizes aberrations, controls distortion, and provides excellent resolution. Ultra Multi-Coating is applied to all optical surfaces to suppress flare and ghosting while increasing contrast and color accuracy. Autofocusing is fast, quiet and accomplished by two Linear Ultrasonic Motors (LSM’s) that only have to adjust a single inner lens group to achieve precise focus. Additional notable features of the new Rokinon AF 85mm F1.4 include Weather Sealing, all metal construction, an ergonomically designed size, shape and grip for enhanced comfort, and a rounded 9 blade aperture that helps to achieve beautiful bokeh. The new Rokinon AF 85mm F1.4 Full Frame Lens for Nikon F will be available in early May with a street price of only $799.00. It will include a reversible lens hood, lens caps, and a soft pouch case. 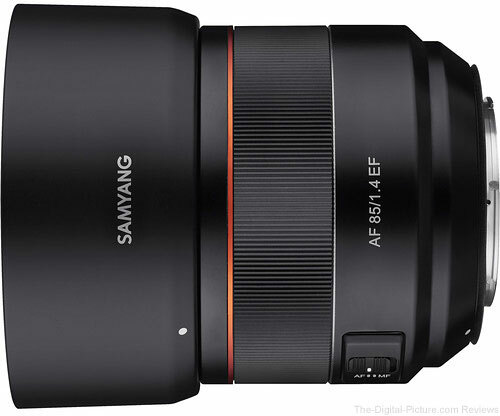 B&H has the Samyang AF 85mm f/1.4 EF Lens for Canon available for $598.00 with free expedited shipping. Regularly $699.00. For customers who own the SIGMA USB DOCK and applicable product listed below, please update the firmware via SIGMA Optimization Pro. B&H carries the Sigma 100-400mm F5-6.3 DG OS HSM | Contemporary and SIGMA 135mm F1.8 DG HSM lenses. B&H carries the Sigma 100-400mm F5-6.3 DG OS HSM | Contemporary Lens. 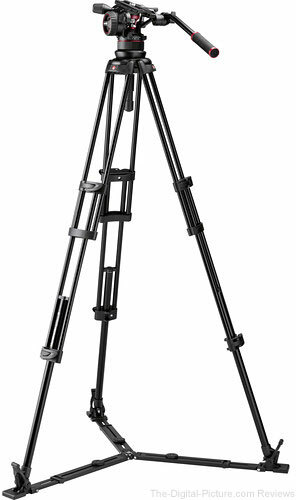 B&H has the Zhiyun-Tech Crane-2 3-Axis Stabilizer with Follow Focus for Select Canon DSLRs available for $499.00 with free expedited shipping. Regularly $749.00. Canon Canada has made Canon EOS R Firmware Version 1.2.0 available (Windows | Mac).